NCPR interview - NCPR host, Todd Moe interviews Martha about the Orphan Harp. Martha travelled to the NCPR studios in Canton, NY to perform on Hope and talk about Hope's creation. Making her home in the Heart of the High Peaks of the Adirondacks in NYS, Martha lives each day with an awareness of not only the power and beauty of Nature, but also it’s fragility. She lives in an area where natural resources are strongly protected from wanton waste. So it was not surprising that when she saw beautiful pieces of wood left unused in a harpmaker’s workshop, she conceived an inspired idea for their use. Prompting a reclamation of discarded wood to be put to good use, she suggested that the makers build a harp from these “orphan” pieces of maple, bubinga and black walnut. 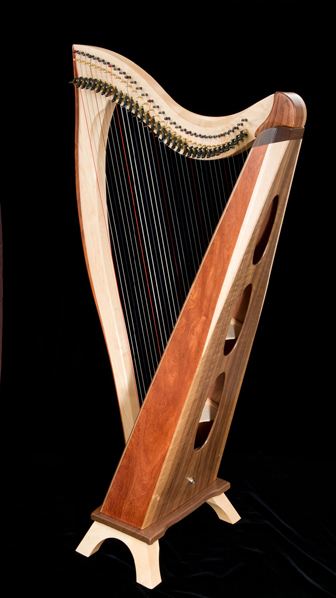 The craftspeople rose to the challenge and created The Orphan Harp; a stunning looking and gorgeous sounding harp; the only one of it’s kind in the world. Martha believes that such a special instrument, made from unused, abandoned, homeless, “harpless” pieces of wood, must surely have a special calling in the world. 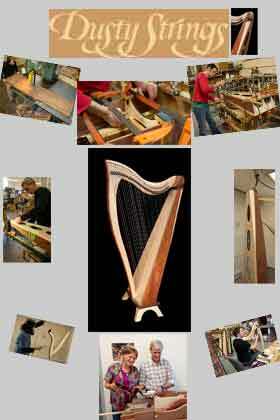 What would the calling of an Orphan Harp be?